The Canucks have made a bad habit of leaving points on the table thus far this season. Last night in Los Angeles they padded their league-worst overtime record, adding yet another discouraging late game result to what’s becoming a rapidly growing list of such outcomes. It’s more than just a worrisome trend to keep an eye out for by now, for a team that’s margin for error has been dwindling for some time now. The same tightrope balancing act they managed to parlay into a playoff appearance last year has left them out to dry in this go-around. Regression has pushed them off of that rope, and without a safety net around to cushion the landing they’ve fallen flat on their collective faces. It’s the nature of the beast. Hockey gives, and then it takes away. It’s why genuinely good teams generally sustain their success by limiting the potential impact that puck bounces have on their outcomes, in turn controlling their own fate. 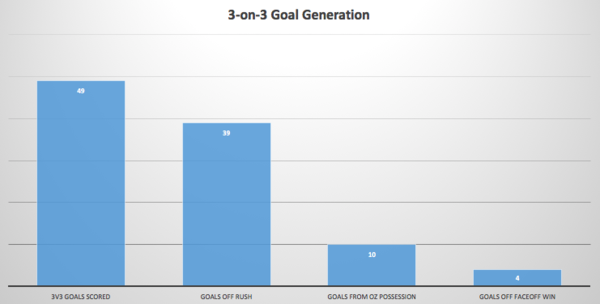 It’s interesting that only ~20% of the goals have come from sustained possession in the offensive zone. Based on that then maybe it shouldn’t be all that surprising that the Canucks have struggled to pull some of these games out. 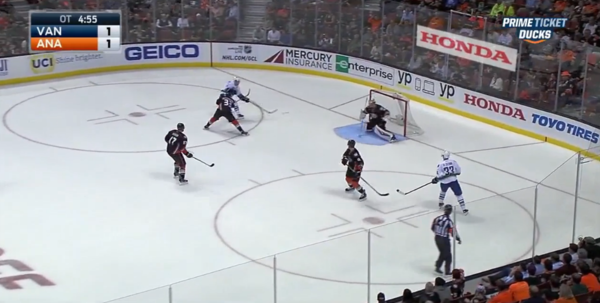 Blaming Alex Edler for his disastrous giveaway that lead directly to the game winner is an easy angle. But it doesn’t excuse the fact that the team as a whole has yet to find the back of the net in nearly 20 minutes of action. Their two most dangerous weapons – and two most frequently used players in these situations – have made a living off of wearing the opposition down in their own zone via the cycle. What’s made them such effective players over the years has been their precise passing, which has allowed them to take advantage of small windows and areas that would be too tight for most NHL players to effectively operate in. 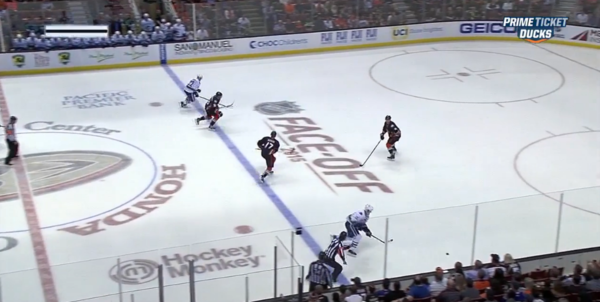 At 3-on-3, the ice surface has opened up and as a result in some way levelled the playing field for the opposition. Oddly enough, while it’s made the action generally far more exciting across the board it’s also allowed everyone else to catch up with the Sedins. Maybe even surpass them, given how much of an asset fresh legs and speed have shown themselves to be. In the meantime, it would behoove Willie Desjardins and his staff to open up the playbook a little bit and experiment with different combinations. Just because someone like Jared McCann is young shouldn’t disqualify him from getting a chance to see if he can be more effective than what they’ve been using to-date. He’s been on the ice for less than 10% of their 3-on-3 time this season. Something ultimately needs to give. This version of the Vancouver Canucks isn’t good enough in the other areas of the game to keep settling for the loser point. Especially given how minuscule the gap between making and missing the playoffs in the Pacific Division is once again shaping up to be. “Regression has pushed them off of the rope”. Apparently a National Hockey League education was not enough for Dimitri. Ya they are going through a rough time, but a team that has been near top of league for many years going back to WestCoast Express days are bound to have a rough go of it eventually. Maybe you should consider becoming an Oiler fan and participate in Oilernation forum nothing but cyan ism on that page. Expecting Management to be able to make treadles happen out of the blue is totally I realistic especially in this ridiculous cap-era. Good luck with your new team. Yes unfortunately all good things come to an end, with zero help in the.system as a result of poor drafting somewhere a long the way a GM made a decision that they needed some help in minors and being near top of league for several years they had few high picks in the drafts. With team playing well for those years players now want more money(go figure) all of a sudden you look at how much cap space you have and realize you can not afford all your hardworking loyal players.gee how do we keep all these players? Maybe we should start trading them so we can start accumulating somewhat of talent in the minors. I do believe though that We still have mason Raymond , he now wears No. 47. Loyal and dedicated ever since we drafted Dale Tallon . Expect a few years recently when I was unable to follow OUR canucks. Was only making similarities in the 2players, great sets of wheels but not much else. I can see that the real Canuck fans are out tonight. We all want to see this team do well but we are in a rebuild weather you like it or not. The fans that are crying and saying that they are leaving will be back in full attire at the first ray of sunshine. The best thing for the Canucks would be to draft high again and to move players on expiring contracts at the trade deadline for whatever can be acquired. The frustrating thing here isn’t the points they are leaving on the table, it’s the loser-points they are securing to give the illusion of being competitive. I’m afraid they will hang close enough to the playoffs in the ultra-weak Pacific that Benning and Co will hold off on making any real changes approaching the deadline. The time has come to move a handful of pending free-agents and borderline NHL talents and infuse the lineup with prospects and acquire some picks. Agreed. Must keep a few key veterans around though, unless we want to be like the Oilers. If we don’t move these fringe veterans we could very much end up like the Leafs have been for what……the last 40 years. success-wise, you guys are the leafs in the past 40 years… what are you talking about? If by success you mean the Canucks have joined the Leafs as a top 10 franchise, this is true. The “cup or bust” measure of success does not work for any successful owner. Just ask Katz if he would prefer dozens of playoff games over the last decade as opposed to the mess they have. I’m sure Katz is happy his building is full every night as opposed to non-sellout crowds in the regular season or the playoffs. I’m sure he’s happy that the managers he hired stumbled into McDavid as well. Your initial comment was about success in the last 40 years. Not success in the last 40 days. I suggest you go back to business school to get a better grasp of “success”. When 3-3 first came up I said it should be great for the Sedins — fewer players hanging on to them, more open ice to play with, puck possession wearing the other guys down and pfffft. Instead it’s like a race track out there — speed, shoot, score or do it all over again. A good combo would be Hansen McCann and Hutton if he was available. Horvat Jensen and Subban would be interesting. Bartowski would be great if he could remember to bring the puck with him while speed skating and what to do with it once he gets to the opposing net. I had a dog like that … Loved to chase after a ball and then forget what he was chasing … Kind of sad actually. Ironically apropos though. Ahhh finally John has left the bandwagon. What a whiney dude. He’ll fit in nicely on some other teams bandwagon. 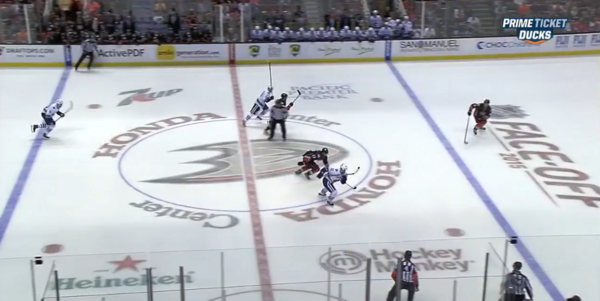 Don’t the foreign investors buying up real estate go to the nucks games?